Wild Tales consists of six twisted short stories, all written by writer/director Damian Szifron. Most anthology films tend to use different directors for each story, but Szifron handles every single one here. Having one writer and director gives Wild Tales the benefit of a strong thematic core linking each segment together. What’s surprising is that, even with a singular vision, the results are just as hit and miss if multiple filmmakers tackled each part. Things do start off quite strong. The first short, the smallest in length, involves a plane trip and a series of coincidences going from surprising to hilariously absurd. There’s no point going into detail about the plot of each short, as most of the fun comes from watching the surprises play out. To put it in general terms: usually each tale involves a person feeling wronged by someone (or something) else, resulting in an act of vengeance or catharsis with harmful results. Refreshingly, none of these stories share any connective tissue through narrative. Instead they unite through themes of vengeance and destruction, and that thematic thread gives Wild Tales an edge over other anthologies. The writing also helps Wild Tales, even if it’s for a short time. The first three stories are deranged, morbidly funny segments, with surprisingly satisfactory endings. The problems start in the latter half, with the fourth and fifth stories as nothing more than predictable shorts with unsubtle political and social commentary. The final tale, about what might be the worst wedding in the world, tries to right the ship for a big finale, except it’s too obvious in its attempts to shock audiences. Wild Tales is a mixed bag, not especially surprising considering its genre, but when it works it’s undeniably great entertainment. 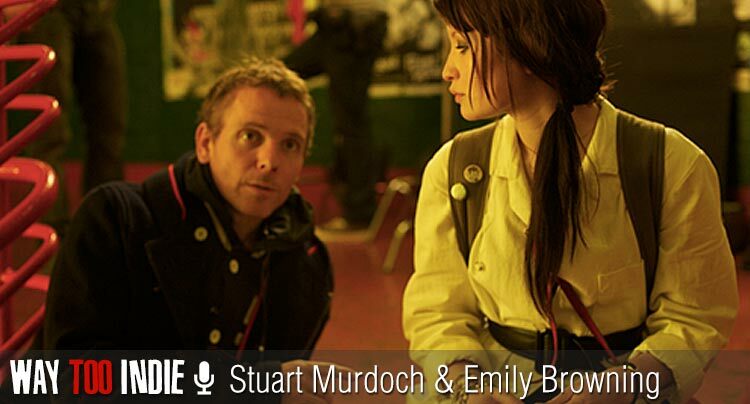 'God Help The Girl' director Stuart Murdoch & star Emily Browning Had a "Skype-Off"